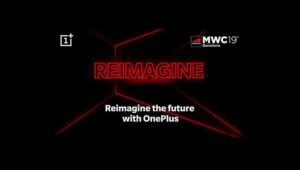 The stage is all set for the MWC 2019 and with OnePlus sending out invites, it has been a stamp on a paper. There are a few official announcements for LG, Xiaomi, Sony and Huawei and OnePlus simply can’t miss it out. The event, Reimagine, is all set to proceed with OnePlus already send out the invites. However, there are no updates about that in this event in Barcelona OnePlus will come forth with the latest phone or not. MWC 2019 – Mobile World Congress is the stage set out as mobile tradeshow that occurs even year. This year the event will start on 25th February and goes till 28th February. It is possible to have the new gadgets announced or by Samsung, Sony, LG, Huawei, HTC, Moto, Honor, Nokia, etc. The top part that we all are waiting for is mainly 5G phones. The sources state that in this event one can get a glimpse about the future. One can consider it as a party for partners, media reps and guests. However, it is definitely not about a new phone with the issues that are going on. But it is possible that there might be teaser or preview of their latest phone at the event. The company claims to be the first to have 5G capabilities and Snapdragon 855 chipset. Nevertheless, the statement was altered later on when it was believed to be among the first. The event might be unexpected but what we can expect is the arrival of OnePlus 7 by the end of the year. This event is higher in price tag with 5G enabled handset that is the first outcome.